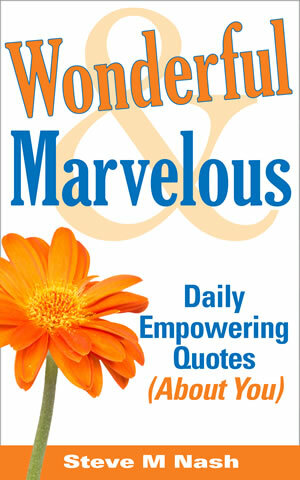 My daily quotes book, “Wonderful and Marvelous – Daily Empowering Quotes (About You! )”, is now available in paperback, ebook and Kindle formats (whoo hoo!). 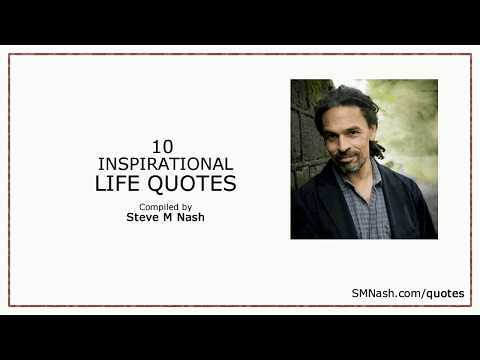 “Wonderful and Marvelous – Daily Empowering Quotes (About You! )” contains daily quotes to help remind you of your (infinite) powers. Empowering reminders of the inside-out nature of the human experience, too. Simple, but truthful remindings of wonderful and marvellous you, then. PDF EBOOK: Teachable <<< NEW! NOTE: Books2Read includes popular ebook stores like: Kobo and and Playster and Barnes&Noble and more. Now go buy the book, whydontcha! Buy here! Hi, my name's Steve and I'm a big FAN of inspirational quotes. Not all quotes, mind. Just the ones that encourage you to "look within". * COURSE - Stop Suffering? Where did this love of quotes come from then? Find out!